Tom Sheraden joined QuadReal as Chief Technology Officer in April 2018. He focuses on the use of technology to enhance the company’s execution on strategy, improve operating efficiency and drive competitive advantage. 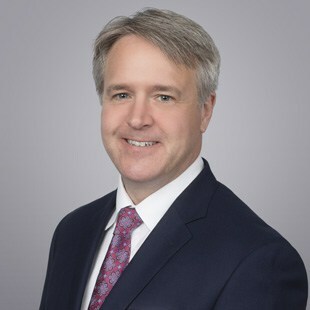 Tom was formerly Chief Information Officer with Prologis, where he was responsible for building world-class technology strategy and execution across the company’s global operations. Previously, he held executive and leadership positions with Home Advisor and Janus Mutual Funds. Tom builds and leads teams which focus relentlessly on executing business strategy and driving great business results through technology and innovation. Tom holds a BS in Computer Science from Villanova University in Pennsylvania. He is a passionate advocate for technology’s potential to deliver value and transform experiences for QuadReal’s customers and team members.